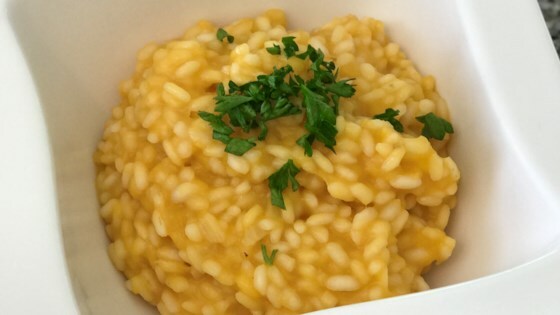 "If you like the natural sweet flavor of butternut squash, you'll love this risotto! It is so creamy and full of flavor! Great as a side dish or main course." I've made basic risotto bunches of times - everyone here is right - the proportions are off. If you double the rice and the squash it turns into a great vegetarian main dish.